Coleman stated at the outset: “I am a skeptic.” He demands to see plenty of hard evidence before believing any of the many claims of creature sighters. The article continues to talk about a few other cryptids but the subject comes back to Bigfoot and Mr. Coleman reveals what started his fascination for Cryptozoology; a Japanese movie about the Yeti. Coleman said that for every 100 cases of new animal claims, about 80 of them are mistaken identity, one is a hoax and the other 19 are unknown. “But the media goes crazy about the hoaxes,” he noted. 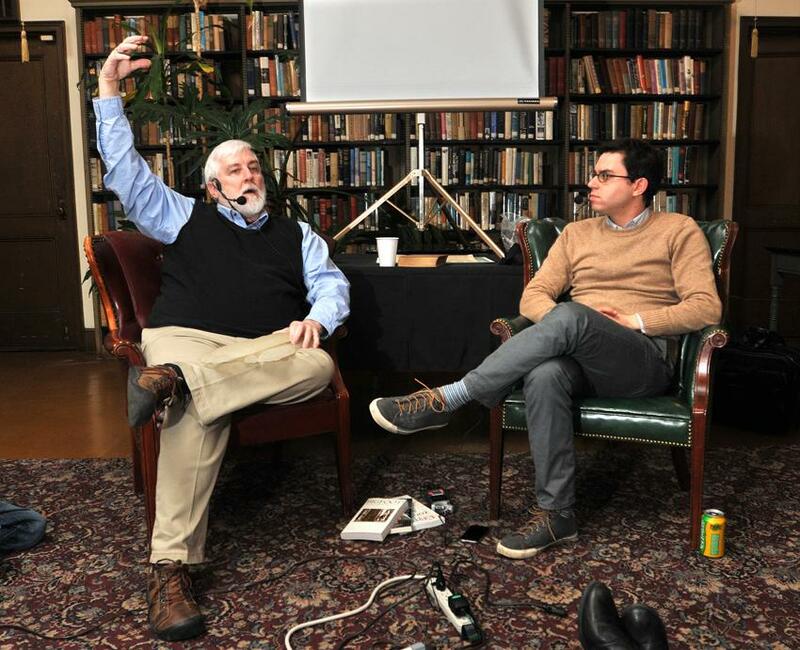 “Let’s talk about Bigfoot,” Foer said, and Coleman was off and running. He got interested in the field when he was a kid. The date was March 20, 1960. He saw a Japanese documentary, “Half Human,” about the Yeti (the Abominable Snowman). Has Loren even done any field work since March 20, 1960. Coleman is a smart enough guy, but by compartmentalizing Ketchum's findings into a single possible result, he does not allow for the larger possibilities of a multi-faceted phenomenon, ie. MORE than one type of creature. This alone makes his admonition about angel DNA moot. Produce some physical evidence of your own, Mr. Coleman, and perhaps your testing will reveal something different. The problem with Loren is that he has not been able to keep up with the computer age. He was a well respected commodity at one time but the pond is much larger now and his importance in it has diminished. Now he sits back and attacks field researchers and others in the forefront of research. Mk is in no way in the forefront of research she is nothing but a con artist and hoaxer! Also,I think the new reality tv shows do not help with Bigfoot research. When you have people looking in a small strip of forest along a well traveled river and near farms...look, Bigfoot is not everywhere! More research which requires time and effort, not "well it's raining now, we've had enough footage shot, let's go in" is needed. While the show inspires more people to hunt for Bigfoot, they do not always show good investigative techniques. It sometimes takes years of study to find a new animal in the wild, but this whole "Everyone anywhere can hunt, a few trees means it's Squatchy" is not helpful and leaves the investigation of Bigfoot open to ridicule. Angel DNA? I mean, how do you even KNOW what "Angel DNA" is? Thought it was pretty interesting. Still, I'd like to take a peak at MK's genetic result. 53 year crypto zoologist and doesn't know if BFs are real? Wow, he flunks. Lord. If I remember right, CryptoMundo was "taken in" by the Georgia Bigfoot-in-a-freezer hoax a few years ago. There was a blog post something like "I have a feeling this could be the real thing!" But that got taken down quickly I recollect. exactly right. If this is the new Loren, then I'm glad - maybe it took that episode for him to do a 180. It made me upset enough at the time to post a snarky remark at bigfootforums, which is not my normal demeanor at all. He was way too effusive about that debacle before it crashed and burned. I *really* do not think there are unknown primates living in Georgia. Pacific Northwest, sure. Just because they live there doesn't mean they live everywhere. You won't find any Gila monsters in Maine, even if you really want them to be there. No wonder the media and mainstream science doesn't take Bigfoot research seriously when you have these kind of reactionary attacks by 'true-believers' against Coleman who is actually approaching the subject with common sense. Common sense is not wanted. Only that evidence which supports what is already believed, or can be forced to fit what is already believed. Any facts which question belief are automatically discounted under any number of guises from conspiracy to simple nay saying. My personal favorite is the "Prove its not real" argument.